DJI’s new model “Mavic PRO (Mavic Pro)” came out! DJI Mavic Pro is the most compact and state-of-the-art flying camera in the history of DJI with advanced technology. Compact and powerful, anyone can easily fly with confidence, so you can shoot from the sky without missing the ever-changing landscape. A high performance 24 processors, a revamped 4 km compatible transmission system, 4 vision sensors, and 4 K camera with high precision 3 axis gimbal. All you can do with tapping with your fingertips. The sky should turn into your creative canvas. It is a drone of a new model after DJI from Phantom series and inspiration series. I think that some people are lost as to what to purchase again, so here we will explain thoroughly about “Mavic pro”. First of all, try to bullet basic information of Mavic pro. Transmitter: Propo is also compact! Moreover, I can make a smoother a propo. Can transmit and receive up to 4 km! Excellent safety with obstacle avoidance + maintaining altitude against ground! Flight time of 27 minutes maximum: It seems to be about 1 flight real flight approximately. Then I will explain in detail. This is the biggest feature of Mavic pro. And compared to Phantom 4 it will be much more compact. When folding it to 500 ml PET bottle size large! When folding it fits in one hand size. With a 500 ml plastic bottle, we feel that weight and size are slightly larger. Actual carrying and convenience is much more convenient compared with Phantom! Drones and propo, batteries and all the equipment are included in a little back. It fits easily in the back which can accommodate SLR cameras and so on. Again the difference is obvious. There is also a report at the time of purchase, so please try it if you like it too. 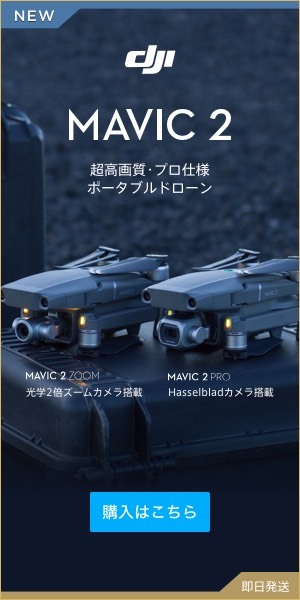 The left is Mavic PRO (Marvic Pro) body. The right is the propo (controller) of Phantom 4. Compare the size of Mavic PRO (Mavic Pro) and phantom 4’s propo! If you use it, you understand, but if you try to carry a Phantom 4, it will become a baggage taking plenty of space when combined with a special case. Because Phantom 4 itself is about 1800 g, there is no weight itself, but when carrying as equipment, it will become a kind of luggage. If you make a private trip, I want to reduce even a little package! But I’d like to take “aerial shots” on my traveling destinations! In that case, I believe that this compact “Mavic pro” is really useful. I packed it in my backpack, but I had a hard time with heavy & luggage in the way I was getting in the way. As will be described later, this camera capability is “4 K” and it can be taken with performance comparable to Phantom and Inspire, it is compact and very convenient to carry, so it can be said that this is the biggest feature of “Mavic pro”. This is another new function different from “Phantom” and “Inspire 1” so far. It is a really big difference that “Propo” which operates drone is made with “one smartphone”. On the portability mentioned earlier, “proprietary props are pretty much baggage”. Also, if you get used to the setting of the propo, it will not take time, but it still costs a lot of time and effort. It is quite easy to say that you can easily connect with a smartphone. I can do with one smartphone. Tap fly is a function that will easily move to the place you touched with smartphone. I’m sorry. I do not understand functions other than tap fly well, but it seems to be useful in some way. Well a lot of people may not be able to master it until much more detailed functions. Stress relief! | Movie can be created on the spot from the smartphone and can be shared with SNS, YouTube etc. immediately. With DJI’s application, you can edit movie from smartphone on the spot you shot. Well it itself can also “Phantom” and “Inspire 1”, but in the case of “Mavic pro” “smart” can be a propo, so easily and more easily than many models with SNS, YouTube etc. You can now share wonderful shot images and videos. It’s a subtle difference, but this handiness shares the wonderfulness of the drone with many people without stresses than ever before. Video shot with Mavic PRO (Mavic Pro) was instantly shared with Instagram. Just wearing music with the editing function in DJI GO’s application on the take off and landing video, this fashionable feeling! It is! It is a feeling with the same Phantom, but if it is possible to fly for up to 27 minutes it is a feeling that it is possible to fly about 20 minutes in normal use. You can fly for quite a long time. This is almost the same flight time as Phantom 4. Even though the battery capacity is probably small, it seems that the flight time is long because the weight of the aircraft has been reduced. Mavic Pro detects “forward obstacles” and automatically avoids them. If the speed is up to 36 km / h, obstacles that are up to 15 m ahead in the direction of travel can be detected and avoided. Phantom 4 was also equipped with “obstacle automatic avoidance” function, but it is also installed in Mavic Pro. “Safety” is the most concerned about flying drones. As one of the reasons I chose Phantom 4 for business drone, this “obstacle avoidance function” was. is compact as it is with performance as it is ~! “Mavic Pro” is said to be “PET bottle size” by folding. It is slightly larger than a 500 ml size plastic bottle. Because the weight is about 700 g, it seems that you can really put it in your bag with a sense of plastic bottle. It really seems that you can easily carry around by putting a drone in your bag easily. The “transmitter” installed in Mavic pro is capable of communication with a maximum performance of “4 km” with considerably high performance. The maximum speed is 65 km. I personally do not skip this soonerly, but I think that it is a recommended function for those who want to challenge speed competitions such as drone races. Just at this speed, the “obstacle avoidance function” does not work, and if you hit at this speed it will definitely break the drones with a single shot. It is a function for advanced users because it is not recommended for beginners to speed up and steer. By the difference in weight of the aircraft so far, compared with “Phantom 4” and “Inspire 1”, under the outdoor environment it will be affected by “wind”. However, if it is indoors without “wind”, conversely “compact” and “light” “Mavic pro” will do the best performance. For workers who are using the drones for indoor inspection work it can be said to be the best drones. Although it is not yet on sale, “Goggles” dedicated to DJI are planned to be on sale. You can enjoy maneuvering drone with the feeling that there is more realism than ever before with the feeling of becoming a “bird” mood. Here is the bullet performance of Phantom 4’s aircraft performance. With 4K camera: As long as you see the image, it has the same camera performance as Mavic, but the impression that you really can focus on shooting is Phantom 4. Propotransmitter is always required: Mavic can operate with “smartphone” alone. The image above is borrowed from the movie introduced below. Conclusion | “Mavic pro” is a model that made “Phantom 4” function “compact” as it is. Well, since the previous reputation is a compact version of Phantom 4, it was exactly true, but the more I compare it again, the more impressive the Phantom 4 was made compact. As a use application, it will be a very convenient model when you want to enjoy the drones easily on a trip etc. However, it is harder for the heavier aircraft body weight to be affected by the wind, so when you take a more stable shoot, “Phantom 4” is recommended. But, it is certainly not sure which way to compare this function difference with price. I guess I definitely chose “Mavic PRO”. For those who want to start drone a bit more seriously from now on I think that it is a recommended aircraft first. I thought that there might be even purchase in combination with. Supplementation | Mavic pro is not less than 200 g.
Last but not least, Mavic pro is not a drone below 200 g.
Therefore, we will receive the limitation of “Air Law”. Just because you make it fly fairly quickly, let’s pay attention to places to fly.